Notes: 1958 - present. This school was a consolidation of Berg (district 1), Springdale Center (district 5) and Klevenville (joint district 3) in 1958. The school was opened in 1959 with 79 pupils. 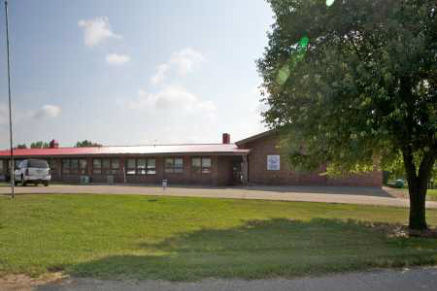 An addition was added in 1965 to accommodate a kindergarten class. In 1965 the school district was dissolved and merged into a K-12 Joint #6 district which continued until 1981. The school reopened in 1983 for fourth grade classes. In 1993 the Early Learning Center occupied the building along with exceptional educational needs (EEN) classes.